It's been a few years since I first learned about counting collections during a summer training. We were talking about math in such deep and meaningful ways, trying new strategies, discovering new tools...so much background information about mathematical learning. 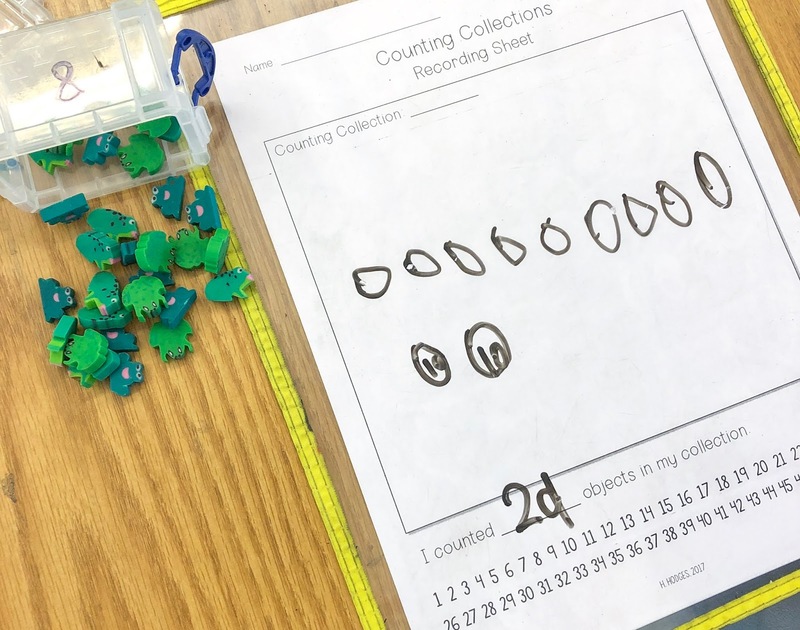 We spent a little while talking about counting collections, and I was very intrigued. However, life got the best of me. 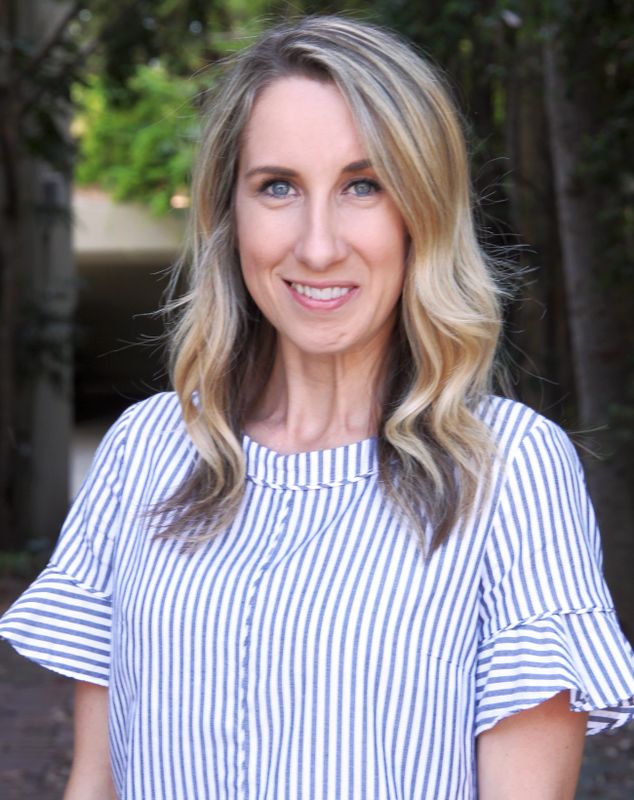 I started the school year with the best of intentions and dabbled with my new ideas, but counting collections didn't really get off the ground. When I was finally ready to dive in and give it a real shot a full year later, it was messy at first, actually, it was down-right ugly. I had no idea how to organize them, prepare them, and generally "use" them with my students. I knew what they could do for students' number sense, but the application wasn't clicking for me. Fast forward to now, and I'm using counting collections daily with my students. I've found a system that works for us that is meaningful and easy to implement. 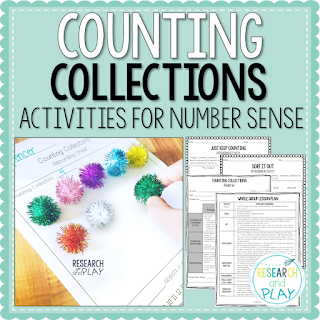 I've been able to use counting collections in a variety of ways and have figured out a way that has totally transformed my entire outlook on how I want to teach math. I want to share that with you. I first shared about counting collections on my blog here and here. What I've learned about them can be found in this incredible book: Counting Collections and Choral Counting: Transforming the PreK-5 Math Classroom. In a nutshell, counting collections are groups of objects that can be as big or as small as the teacher desires. While counting, teachers will watch students and take note of their counting skills such as one-to-one correspondence, cardinality, skip counting, or grouping. Teachers can encourage their students to use other strategies using a variety of prompts and tools. 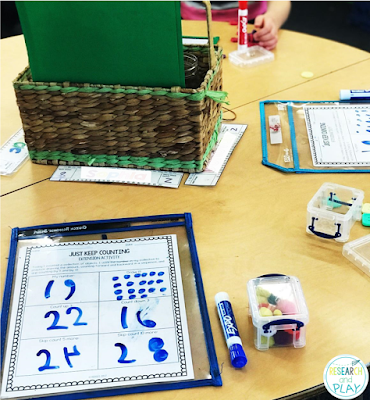 Skills like addition and subtraction have seamless tie-ins with these tools. They are so comprehensive in terms of what you can get students doing just by giving them a collection of objects. I highly encourage you to read the research and learn more on your own as this is just a very brief summary of what I have come to learn myself. This is where a lot of the growing pains occurred while figuring out how to use them. I understood that I should provide collections for my students to count that varied in size and type. At first, that meant putting various manipulatives and small objects into plastic baggies and handing them all out. I would have variety in the amounts, but they would all be somewhere between 10-30. My students would count them, and then...? These resource pages and extensions have made such a difference in extending the count. 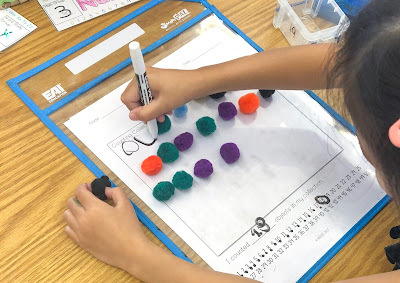 There are many ways you can do this without paper, but since I have my students working independently on their collections, I wanted to give them fun and simple extensions that really pushed their understanding of numbers. These were created with the simple purpose of giving my students autonomy while using a counting collection and to push their thinking. In terms of the physical organization, I share frequently on my Instagram account about this aspect of counting collections. 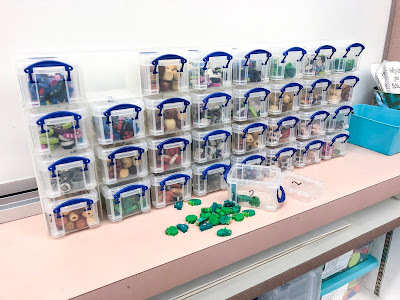 I have some storage tools (pictured above) that I love along with a method that students follow to choose and return collections. Make sure you follow along on Math Monday when I share most of these tips! How often should you do them? Frequency matters! Presently, I do counting collections daily as one of my math rotations. You can read more about my rotations HERE. My students use counting collections during their "hands-on" rotation. I believe that students should have their hands on actual objects to bolster their counting skills, so that is why they go so frequently. Some skills can be taught abstractly, but the actual skill of counting is best taught concretely, in my opinion. 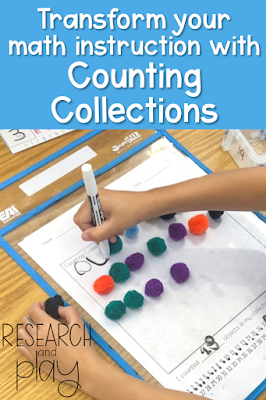 Depending on the student, he or she may be using counting collections twice or three times a week. This is determined by the math group I have put them in based on skill and ability. So while collections are out daily, a student will not be completing them every single day. Keeping track of their collections while working independently seemed challenging until I came across Seesaw. This tool has freed me up so much in terms of being able to work with students in small groups while also making sure my independent workers are on task and are understanding their work. 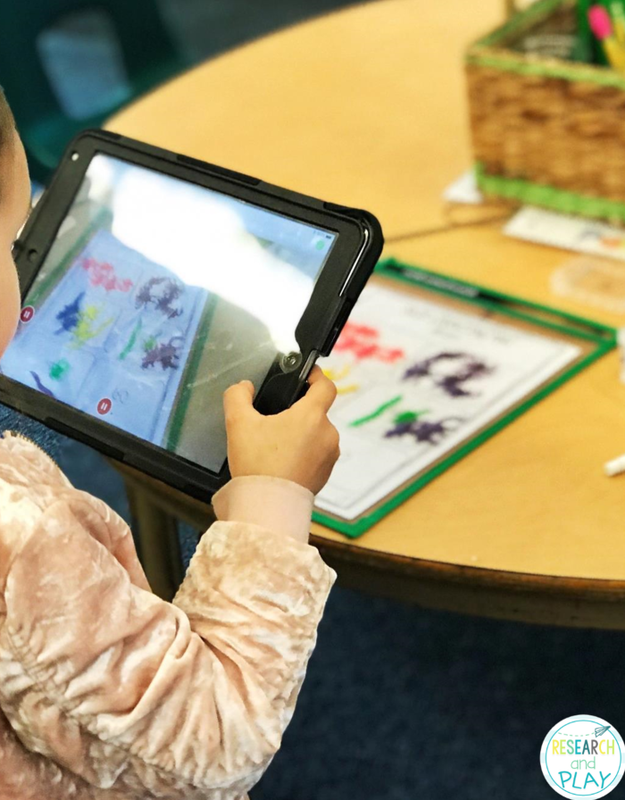 Once a student completes a counting collection, he or she will record it on Seesaw, verbally explaining how they counted, and then upload to their portfolio. Every afternoon I check the videos and can leave my own verbal feedback (my favorite part) that my students listen to the next time they use an iPad. I give almost immediate feedback that my students can apply the next time they get a counting collection. It has been an absolute game changer. If you want to know more about how I use Seesaw, I share about Seesaw frequently on my Tech Tuesday Instagram stories! How did it change my teaching? It seems silly to think that one math activity can change the entire way I teach math, but it's true. Watching my students count large collections, hearing them explain the detailed ways they sorted or grouped, and observing them grow over time in what they could do all contributed to my own confidence as a math teacher. I was so intimidated by counting collections at first, and I realized that's how I felt about teaching math overall. Things like counting collections made me nervous because they weren't "traditional" in the sense of work to completion, turn in, and score. I had to actually observe my students, listen to their individual thinking, and then work with each one to provide the right scaffolding, support, or extension. After learning how to do that, it impacted how I wanted to teach all math skills. I wanted to be able to provide that individualized feedback and instruction to all my students with all skills. The counting collections activity is one of the main reasons why I began teaching in rotations. 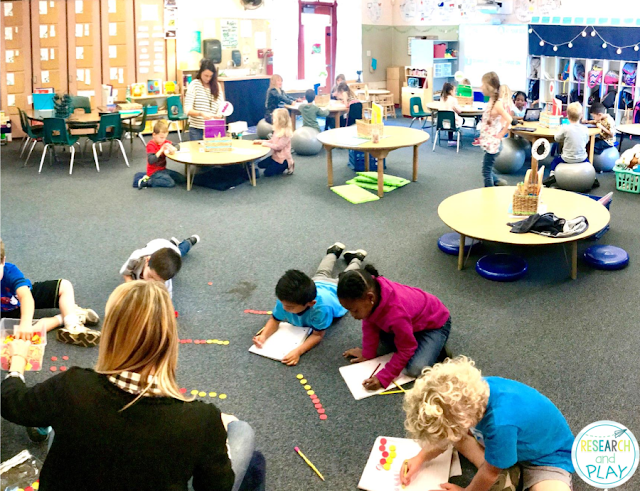 I knew that in order to get all of my students moving, I needed to provide them with enough time with activities like counting collections, and one of the best ways to do that was in rotations. After one full year of doing rotations, I can honestly say that the performance of my students was the highest I've ever seen. I was working with one group on multiplication by the end of the school year. Not because it would be cool to try, but because knowing them so well provided me with the insight into skills they were ready to work on. My most-struggling group at the beginning of the year was mostly at grade-level by the end. I fully credit rotation-model teaching for this success, and I fully credit my success with counting collections for that confidence to start. Try counting collections. They will transform the way your students think about counting and the way you teach your students. They will make a difference in your math instruction. Want to know more? If you follow me on Instagram, I post weekly videos on math instruction on Math Monday IG stories. If you'd like to see other math resources that I use with my students, make sure you follow my Teachers Pay Teachers store where I post all the math materials I have created to use in my own classroom. Thanks for this post Holly! I am working on getting counting collections up and running in my classroom! I can't wait to try this out, and all of this information was so helpful! Thanks again!